Tell me a little about your career. How and why did you become involved in art therapy? What are your key responsibilities as an art therapist? To evaluate, assess, plan and implement individual and group art therapy appropriate to the service in which I work. Are there any particular mediums that you use the most, or is that entirely up to the client? It is up to the client within reason, because I will invite certain media, retain certain media (on safety of emotionally overwhelming grounds) and direct certain media depending on what we are looking to achieve and what stage of therapy we are at. How can art therapy improve an individual’s self esteem? The nature of art making involves implicit decision making, a level of confidence to begin to make a mark/touch a medium, to have an observer in the therapist, to develop trust in the therapist, themselves and the media, being their own observer and artist interchangeably, problem-solving, imagination, all enhance a sense of self – therapy values and holds this self and so it grows esteem. How do you think art therapy has helped individuals with behavioural or LD issues more specifically? This is too vast to say – they are all the people I have worked within 18 years so… basically they are people and all people can benefit from Art Therapy. Fundamentally it is the person-centeredness in real meaning of the worlds that holds all change potential. Through this valuing of the person, the triangle of relationships in Art Therapy and the implicit mirroring and practicing of bigger emotional and life events in the small moments of the therapy and art making process, people can grow, literally, new neural pathways. What has been your greatest success and biggest setback in your career so far? Interesting questions. Greatest success? Knowing my work has contributed within a multi-disciplinary team to helping people who would otherwise have remained in locked/secure settings or unhappily locked inside themselves. To be heard, express themselves in a non-threatening and emotion-appropriate manner and learn to grow and learn toleration of frustration enough to survive. To evolve into happy independent lives. Greatest setback? The changes in the organisations I work within (NHS and social services) that mean people are no longer really valued, given the tools to do their jobs really well, or kindness which seem to be a key requirement in us all. Why is it important for the distinction between art therapy and therapeutic art making to remain clear? It is on a spectrum from art making/education whereby taught skills and product are key, through to therapeutic artmaking where people gain implicitly from engaging in their own process during art and its healing qualities do its work, through to supported Art Therapy where the triad is key and the person needs the witnessing inherent in the therapist’s presence and their knowledge and skill in seeking/knowing the process of art making and how it is explaining/expressing where the person is at and how best to support/facilitate/accompany them on their internal journey of self-development and awareness. There is a place for everyone and we should be referring in and out of each other’s specialism. I was a community artist before an art therapist and I know there were areas I would not go or encourage people to go because I was not skilled to deal with it with them, nor was it the purpose of the project. Art Therapy is absolutely about the process not the product. With some people, the product becomes more important and they may even choose to exhibit or go on and train, but this is person specific and therapeutically defined within the therapy. How do you see art therapy evolving in the future? Hmmm. I think on the one hand it is being forced to get stricter, more defined, shorter term, and to some degree, more intellectual/cognitive. I also think it is under pressure to be more nameable and to explain the inexplicable. On the other hand, I think there will be those who will fight for the opposite of these aspects – upholding its inherent healing qualities, the need for spontaneity, person-centered decision making and design of therapy, treasuring the inexplicability. Art Therapy rooms are few and far between nowadays – it’s all about portability, but this is a price to pay that will show up. The vulnerable and complexly damaged/traumatised need the symbolism and safety implicit in a designated creative space that borrowed rooms and offices cannot convey. It diminishes the breadth of Art Therapy provisions that can be created and offered. This is why I am leaving the big organisations as an employee. I need to be the best clinician I can be within my own parameters and not trying to be a mediocre one within theirs. Kate Lacour is an Art Therapist based in New Orleans and is committed to following developments in the field of creative arts by and for those with Autism. Here are some of her thoughts and findings on how Art Therapy is an engaging and encouraging treatment for children with Autism. With Autism rates on the rise in Australia, new treatments such as Art Therapy are helping children deal with the challenges they face. The most popular treatment of recent years is Behaviour Modification Therapy, which aims at shaping behaviours through a system of rewards and consequences. An alternative treatment that is gaining traction is Art Therapy. 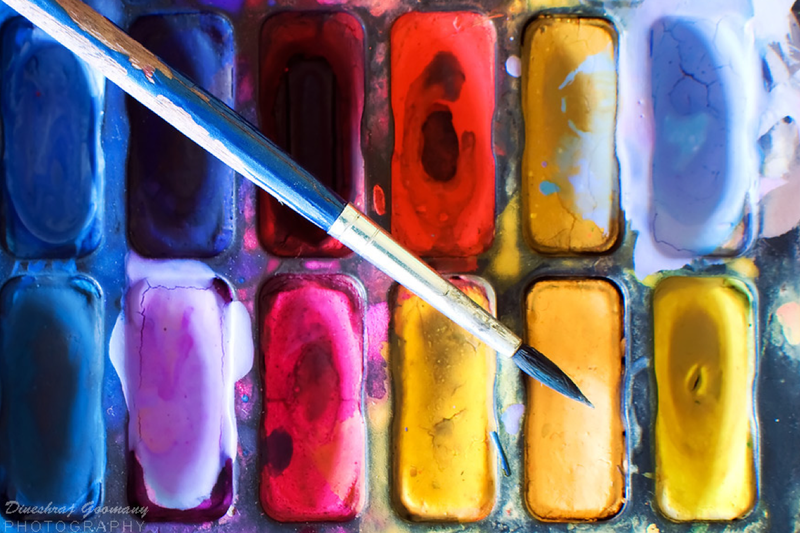 Art Therapy can also be a facilitator in forming connections with peers. Cooperation, turn-taking, respecting differences and other social skills can all be practiced in an enjoyable, natural setting. People with Autism may also struggle to comprehend other people’s perspectives; looking at a peer’s art work offers a concrete way to “see” another person’s point of view. Thanks to Larry B. Silver, here is an outline of terms and concepts in perspective. Children may have difficulty in organising the position and shape of what he or she sees. Input may be perceived with letters reversed or rotated – an e may look like a 9; and E might look like a W or a 3, or an M. This confusion of input shows up almost immediately when the child begins to read, write or to copy letters or designs. Judging distance is another visual perceptual task which can go awry. A child may misjudge depth, bump into thinks, fall off chairs or knock their food and drink. Children who have difficulty distinguishing subtle differences in sounds will misunderstand what someone is saying and respond incorrectly. Words that sound alike are often confused – blue and blew or ball and bell. Once information is recorded in the brain and laced in the right sequence, one must be able to infer meaning. Most learning disabled children have only minor difficulties in this area. Abstraction – the ability to derive the correct general meaning from a particular word or symbol – is a very basic intellectual task. Short-term memory is the process by which you hold on to information as long as you are concentrating on it. Long-term memory refers to the process by which you can store information that you have repeated often enough. If your child has a memory disability, it is most likely a short-term one. A short-term memory disability can occur with information learned through what one sees – visual short-term memory disability – or with information learned through what one hears – auditory short-term memory disability. Often the two are combined. Information comes out of the brain either by the means of works – language output – or through muscle activity, such as writing, drawing – motor output. A child or adolescent may have a language disability or motor disability. Two forms of language are used in communication, spontaneous language and demand language. Spontaneous language is used in situations where you initiate whatever is said. This situation contains the luxury of choosing the subject and taking the time to organise your thoughts. Children with specific language disability usually have no difficulty with spontaneous language. They do, however, often have issues with demand language. A young child may initiate all kinds of conversation, but when they are put into a situation that demands a response, the child may seem confused. When a child has a visual perceptual problem, the brain, which has incorrectly recorded or processed information, will probably misinform the muscles during activities that require eye-hand coordination. This is referred to as a visual motor disability.